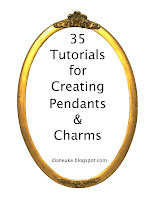 I have had fun putting together some of my favorite links for tutorials creating pendants and charms! A photo of each pendant is included, along with a brief description of each pendant. I have been busy adding lots of additional, great tutorials. 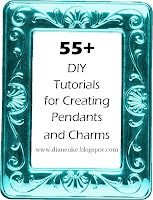 To get to the page for the links, please click 55+ DIY Tutorials for Creating Pendants and Charms.